I know a game has something special about it when I'm playing, and my wife sees it in passing, taps me on the shoulder, and asks me to have a go. Moss, thanks to its achingly charming mouse protagonist, is immediately appealing and engaging. Then, the deeper you dig into it, the more delightful it becomes. This is one of the finest uses of the PlayStation VR hardware to date. Initially, it might seem strange that the game's forcing you to play in VR. It's a third person puzzle/ platformer, after all, and it's not a genre you would necessarily think benefits from what VR offers as a platform. It doesn't take long to realise why it's important to Moss, though. 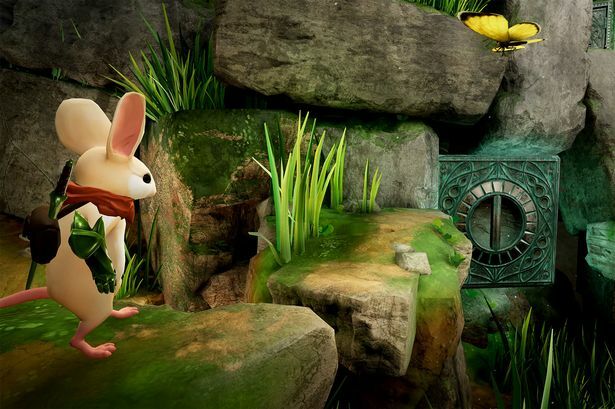 Firstly, the VR perspective is woven masterfully into the delightful folktale-style narrative of Moss. You - as in the physical you - are a "storyteller," brought into the world through very particular magic, and, when an adventurous little mouse, Quill, picks up a magical crystal, you become her partner in her adventure, helping her by manipulating the environment and protecting her from threats in the world. You also serve as another set of eyes, looking around environments for secrets and ways through its puzzles. Moss is one of the most beautiful appropriations of the classical folksy aesthetic and structure that I've come across, mixed in with some Richard Adams-style storytelling. Adams, for those who haven't read his books, took animals and gave them a human-like ability to communicate and interpret the world around them. His masterpiece was Watership Down, a book about a community of rabbits looking for a new home after fleeing a farmer's attempt to "remove" them from his farm. Along the way they run into cats, dogs, a militant rabbit clan run by a fascist dictator (I kid you not), and, of course, birds of prey, the rabbit's greatest fear of all. Moss is similar, from the perspective that mice and other small woodland animals have human-like society and motivations, and much like Adam's work, it's quite beautiful in the way it humanises these animals. There's also a slight touch of Lord of the Rings about Moss, which sounds odd, but again that goes back to the folktale heritage on the game. The little gemstone that Quill discovers in Moss is both powerful and dangerous, and dealing with the implications of discovering it serves as the catalyst for her quest. Along the way she encounters fairy-people (effectively woodland elves in structure and personality), traverses some nightmarish landscapes, explores places of history and antiquity, and learns about the frailties and strengths of "people" and heroes. Structurally it's little different to Tolkien's epic, what with Frodo discovering that ring and then deciding to travel across the planet to destroy it. And, of course, Tolkien in turn borrowed his story concepts heavily from many of the old tales of Europe. There are other classical literary genres that can be identified running through Moss, too; generally they're appropriations of early children's literature genres. There's elements of the fable, with the game occasionally expressing a simple moral lesson or two in the vein of Aesop and others. There's moments where the game resembles a classical fairytale, when you get to interact with fey, follow a will-o-the-wisp-like creature, and make your way towards an ominous looking castle deep inside the wilds. While Moss doesn't have an extensive story in itself, it constantly references a wide range of different literature traditions, and that helps give the game itself a sense of heritage and majesty - it'll be familiar and nostalgic to just about everyone, because everyone grew up with these kinds of stories. But it's Quill herself that you'll be most enamoured to. Having played the game with the VR headset on, and watched the game while my wife played it on TV, the difference in the quality of experience that the VR technology enables is nothing short of magical. Quill's movements are subtle and tiny, and though she doesn't speak, it's those moments that give her the biggest personality and soul in a game that I've played for quite some time. It's only through the VR headset that the depth of those subtle movements can be really appreciated, as the technology 'breathes life' into them. 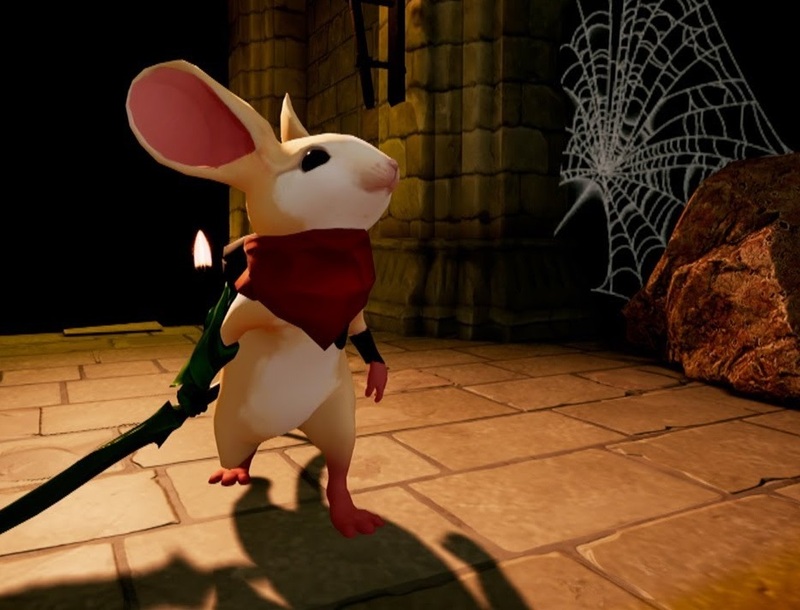 The VR technology also is used to great effect to remind you just how tiny Quill is, as a mouse. Everything around her both dwarfs and often terrifies her. On a flat screen it simply looks like all the objects around Quill have been made big to make her look small. With the VR goggles on, the effect is far more startling. Suddenly, when you've got a full 360 degree view of the world, but every time you snap your head back to look down at Quill, and she looks back up at you, you truly believe that she's the tiniest and most vulnerable creature out there, and it's everything around her that is actually big. It makes everything that Quill sees and experiences in the world - even the most mundane - feel all the more intimidating, and yet makes her bravery and determination all the more inspiring. Quill is a truly wonderful character. 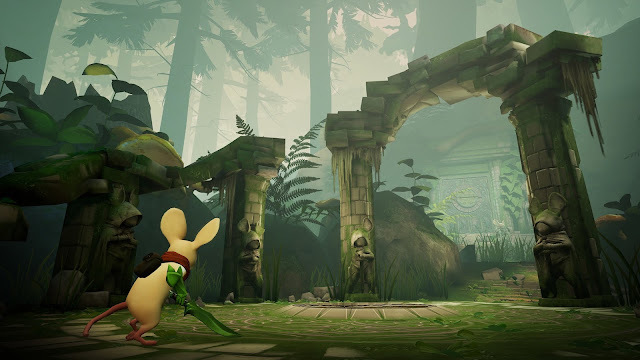 As a puzzle platformer, Moss is really broken down into a series of locations, each involving a large, multi-stage puzzle to solve, which will clear the way for Quill to move to the next location. Puzzles aren't anything you haven't seen before - how do you manipulate blocks to open up a path, or how do you make sure a pressure plate remains "on" when it turns off the moment Quill steps off it. Though the familiarity of these puzzles might put some off, Moss is also a surprisingly complex game at times, and some of those puzzles should get players thinking. Remember, Sony doesn't recommend children play with the VR hardware, which means that while it looks like a game for children, the developers have clearly felt free to pitch the gameplay to an older audience. The level design also makes just enough use of the VR hardware to make it feel meaningful without being forced. It's possible to tilt your head and "lean around corners" to see otherwise hidden parts of the environment. This feature isn't used too often for the main part of the puzzles, but there are hidden "scrolls" around the environments that Moss can collect along the way for bonuses. You'll generally need to be looking around and keeping an eye out to help Quill find these. One thing I'm disappointed with in Moss is the combat. I don't know why it was even necessary to give Quill a sword, much less ask her to use it. The combat itself is completely functional and uninspired, and in the context of game with such vivid imagination otherwise, I can understand when the combat becomes part of a broader puzzle, but there are other times when combat either is the puzzle, or it's just... there. 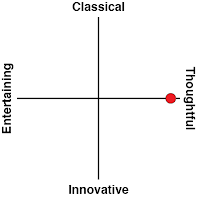 And it adds nothing to the thematics or experience of the game. I'm also not a fan of motion controls at the best of times, and Moss requires the use of the Dualshock controller's already poor motion controls for a lot of stuff that often requires reasonable precision. Quill can't "die" as such - if she falls into a body of water or gets toasted by an enemy the game just resets to the start of the particular location for a retry, but because the game works hard to form an attachment between you and the mouse, watching her floundering around in the water because the motion controls failed me and tossed her off whatever platform she was standing on is that much more irritating than were it in a game I cared less about. 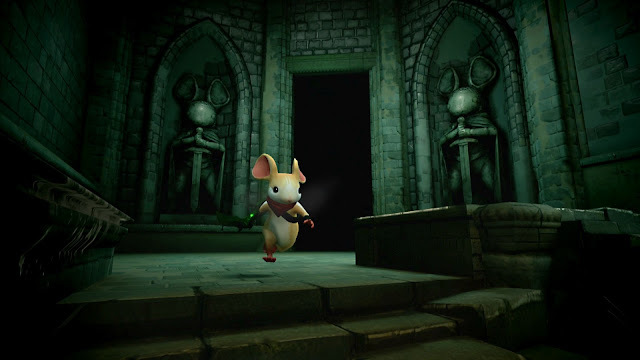 For a debut game, Moss is a remarkably mature, intelligent, confident and purposeful game by Polyarc. 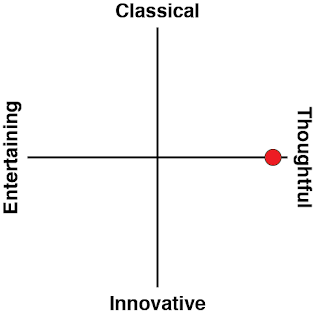 And risky. It would have been quite easy to simply release this as a standard PlayStation 4 title and include VR for optional use. But, no, the developer had a vision that this game would use VR as core to the narrative, and it has risked far lower sales to execute the game to that vision. I hope it works out, because Moss really is the best VR game we've seen to date.